If there’s one thing that’s constant in Social Media, it’s that it is ALWAYS changing! There is always a new tip or trick, or some new rules to navigate. 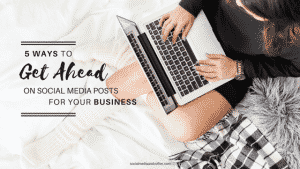 In short, people will be seeing fewer posts from businesses and brands in their Newsfeed – even if they Like and Follow those businesses. BUT, there is one simple way to stay engaged with the brands that you actually WANT to see in your Newsfeed. Today I am going to show you how to make sure you ALWAYS see the posts you want to. This is helpful for making sure your own Newsfeed looks the way you’d like. And also, you can encourage your audience to do this on your business page. STEP 1: Go to your favorite business’s Facebook page. 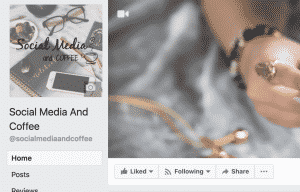 For this example, of course we will head over to the Social Media and Coffee Facebook page! STEP 2: Make sure that you Like the page. STEP 3: Select “See First” for this page. Let me explain what you just did. You have told Facebook that you actually WANT to see content from this business in your Newsfeed. And so every time this business puts up a post, it will be the first thing you see at the top of your Newsfeed, or one of the top things you see depending on how many pages you select “See First” on. 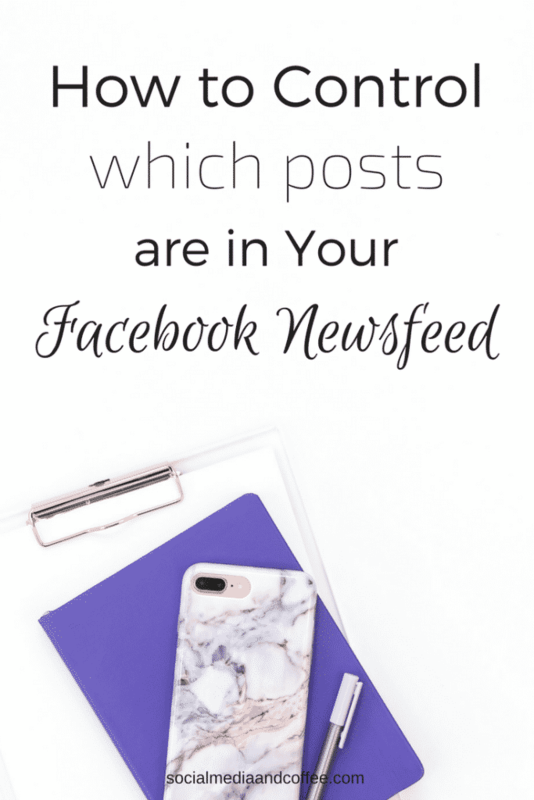 Note: If you do not do this on your favorite brands’ pages, chances are that you will soon not see their posts in your Newsfeed anymore because of the changes in the way Facebook serves posts. This is a great way to make sure you aren’t missing out on content or deals that you like to stay up on. Personally, I have done this with several brands that I enjoy following. I like to see what posts they are putting up and see what’s going on with their company. You can also encourage your audience to do this with your brand’s page! 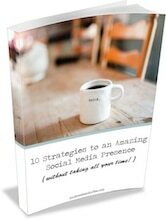 If they have already decided to Like you on Facebook, chances are that they will not mind a helpful tip that allows them to stay engaged with your business. 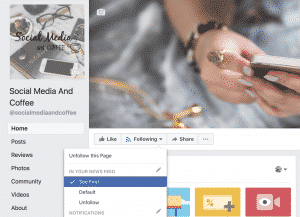 Want to remember this How to Control Which Posts are in Your Facebook Newsfeed article? Save it to your favorite Pinterest board!